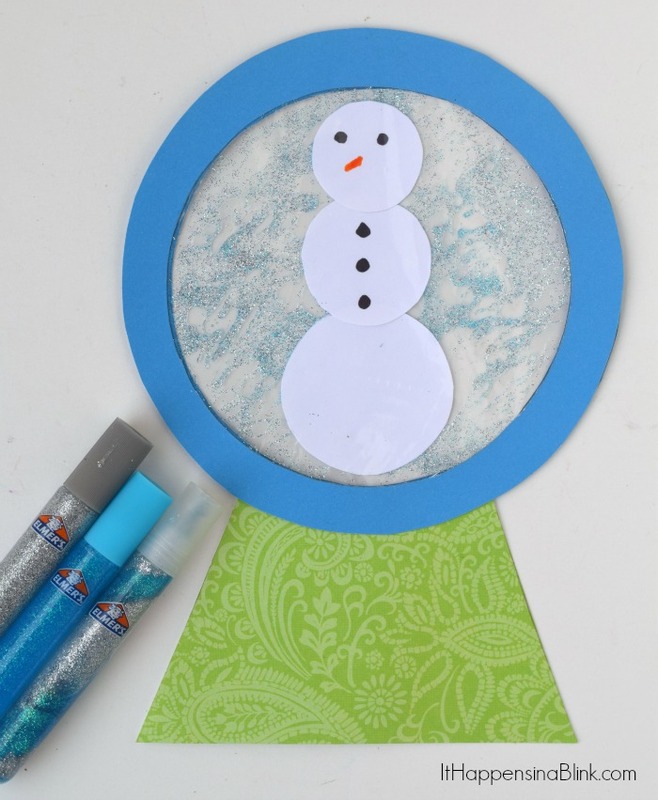 As a kid at heart, I am happy to share this fun winter themed kid’s craft with you today as a part of the Elmer’s Crafty Parents Crew. 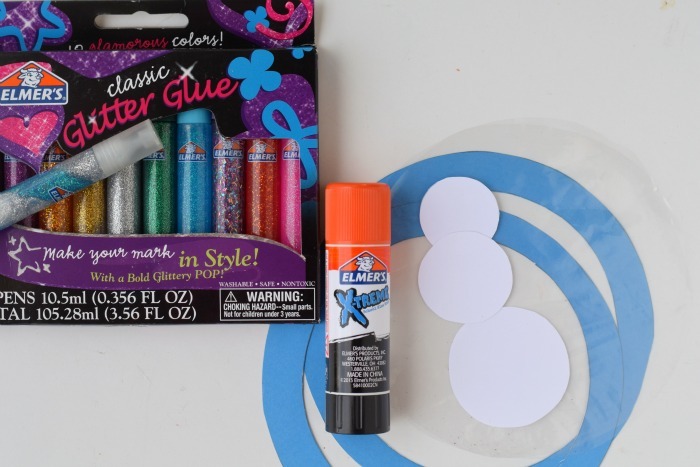 A huge thank you goes out to Elmer’s for supplying me with glitter glue for this Snow Globe Glitter Glue Kid’s Craft and sponsoring today’s post! Ahh…glitter glue. 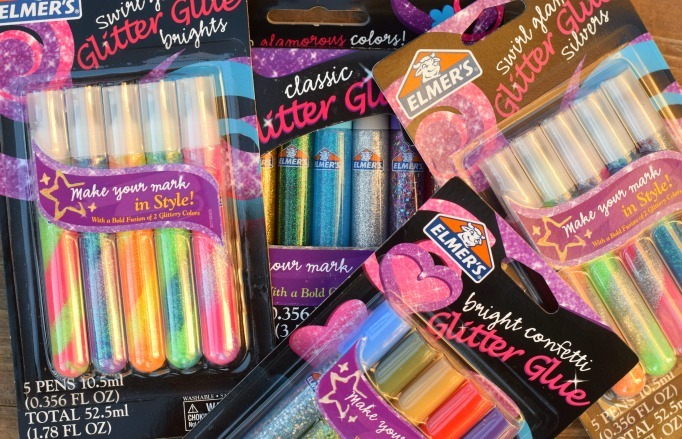 Are your kids OBSESSED with glitter glue? My daughter is drawn to glitter glue like it has trance powers. She had rather use glitter glue on her craft projects than any other medium. I like glitter glue, too, but mainly because it’s glitter without the risk of mess. But she asks for glitter glue on a daily basis. In the event of a zombie apocalypse, she is taking glitter glue in her emergency bag. Now that you know the background of her neediness for glitter glue, you’ll understand when I say that we have started developing crafts where glitter glue is the star craft supply. 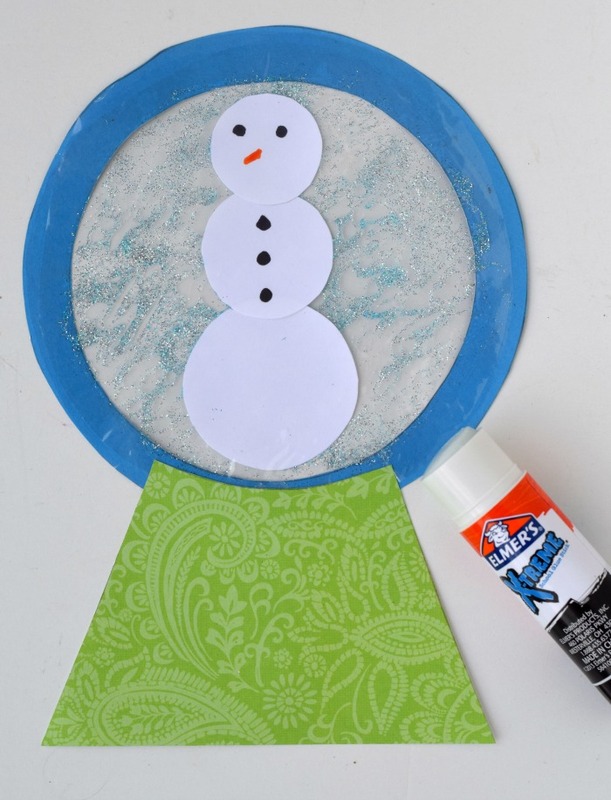 This winter, she’ll be decorating her room in this Snow Globe Glitter Glue Kid’s Craft. This DIY project never gets boring because you can change up what goes in the snow globe every time that you make a new one. Hey, you could even make one for every holiday! Optional: card stock, markers, etc. for filling the snow globe. 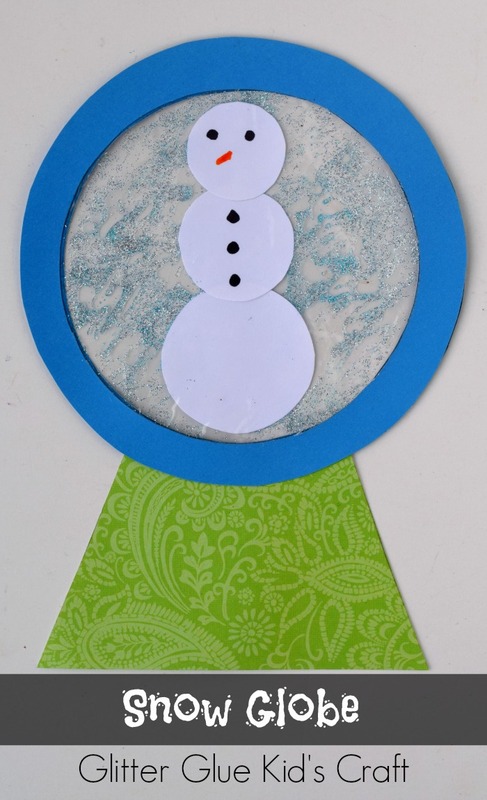 Since we made a snowman, I cut three card stock circle and grabbed a few markers. What kind of glitter glue that you use is up to you. Elmer’s makes all sorts of varieties! The swirl glitter glue is mesmerizing. Make sure that you have printed off the Snow Globe Template. Cut out the circle and the base in two different card stock colors. Cut out two circles from the plastic baggie that are slightly smaller than the card stock circle frame. Lay one of the card stock circles flat. Using the Elmer’s Xtreme Glue Stick, secure it in place. Squeeze out a large amount of glitter glue on the plastic and smear it around the plastic. 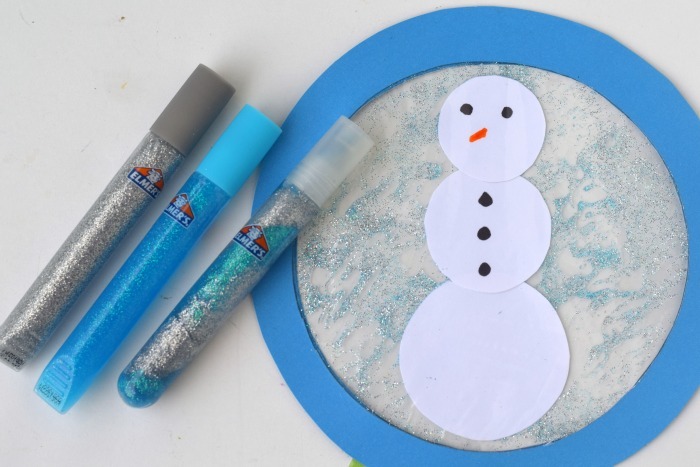 Place the pieces of the snowman (or whatever you are placing inside of your snow globe) on the glitter glue. Since you’re already using glue, nothing more is needed! 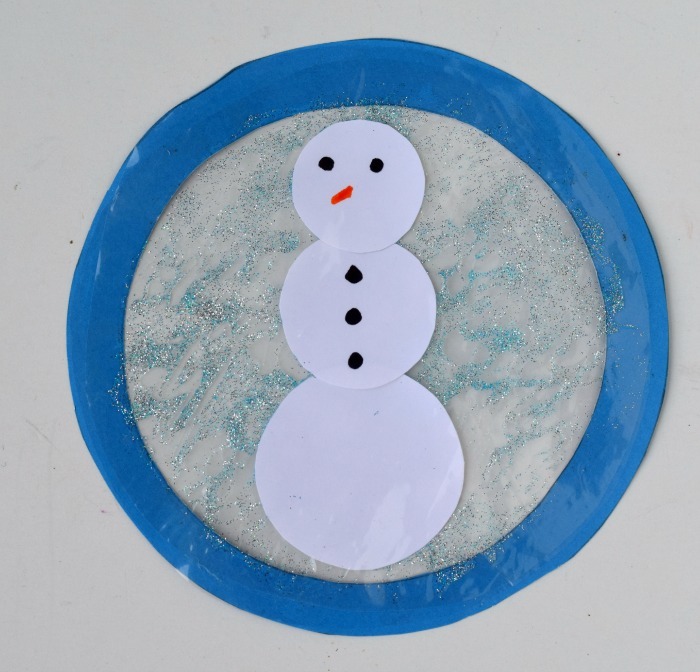 Grab the snow globe base and glue it to the bottom of the circle using the glue stick. 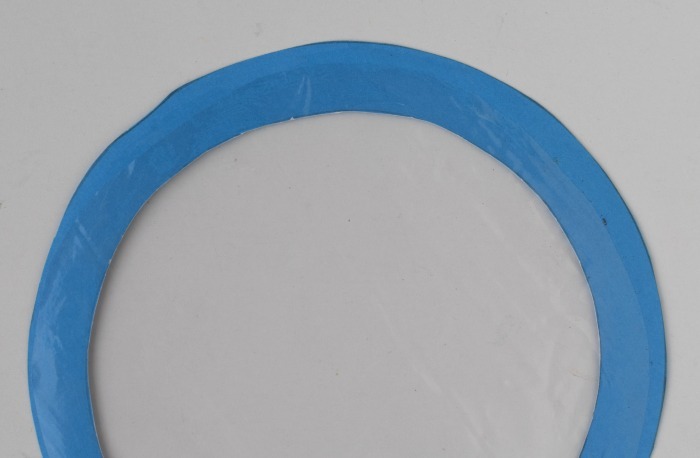 Continue using the glue stick to adhere the other card stock circle on top. And you’re finished! Think about the endless possibilities and combinations that you could make with card stock, Elmer’s glitter glue, and different images! 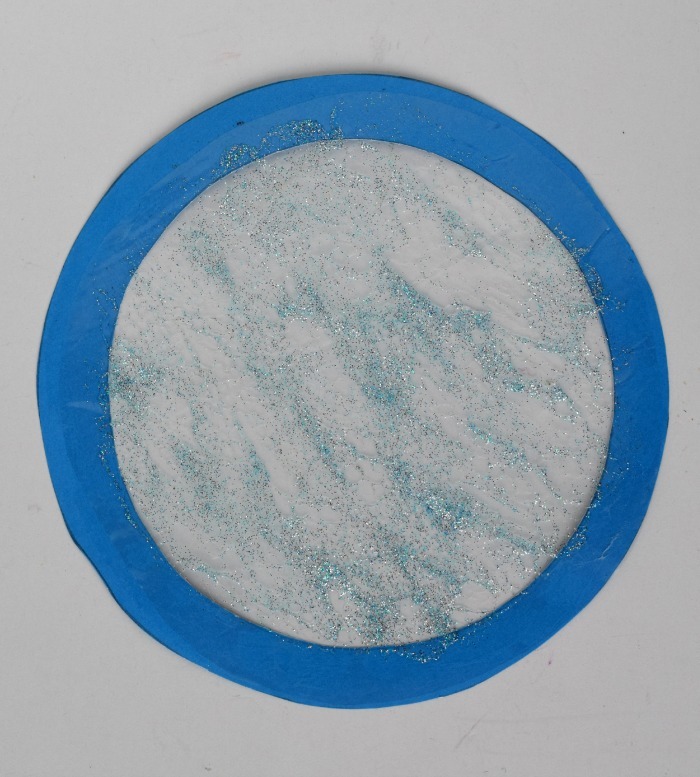 What is your kid’s favorite way to use Glitter Glue? This is adorable!! My kids would love to do something like this, anything with glue and glitter and they are in heaven! This is so cute, my boys will love doing this…thanks for sharing! super cute! Turned out great and looks like a craft kids could actually make! Love the glitter. So fun!! My kids would love this. This looks very creative. I bet the kids love making this snow globe. What a darling craft! My kids would love it! Such a fun activity!! I would love to do this with my stepson & nephew!! So fun! My 4 yr old would love this! Such a fun idea!! My daughter will love making one!! Who doesn’t love glitter glue? Super cute! So cute … thanks for sharing! This is so cute. Love kids craft ideas. What a cute idea! Sounds like a fun craft .